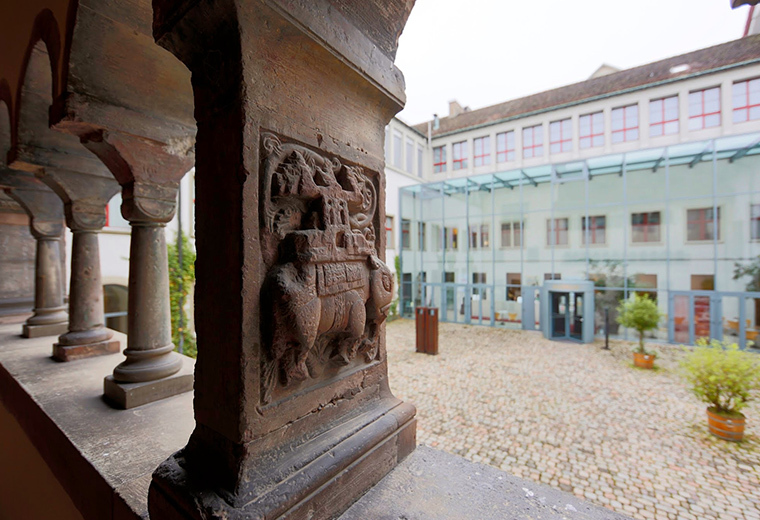 Benedictine monastery from the 11th century and is situated between the Rhine River and City of Schaffhausen. An extensive renovation of the complex was started in 2006 and included modernising the climate control system to make it suitable for a museum of this calibre. The paintings on canvas and paperboard, as well as the numerous textile works of art, are particularly vulnerable to the damaging effects of a poor indoor climate. A good indoor climate is essential to properly preserve the paintings, not to mention for insurance purposes. “Whether there are one hundred visitors or only five, the climate needs to be kept as stable as possible with few fluctuations.” Unlike the usual fixed settings, the Climotion climate control system adapts the temperature as needed: 18°C to 24°C in approx. 0.5°C/hour and approx. 2°C/24 hours and relative humidity: 44% to 55% in approx. 2.5%/hour and approx. 5%/24 hours. This enables the air quality within the building to adapt to use and outside weather conditions. The Climotion system made it possible for the museum to limit their investment and reduce their operating expenses. As with every major implementation project, their decision to install the Climotion system in 2006 was first and foremost based on trust. The project now serves as a valuable example for other museums.